"This beautiful and intricate handmade Rustic Wood Signs are made from Cedar Wood milled in the USA. This kitchen wall decor or bedroom wall decor 'Sit or Hang Wood Block Sign' has the finest details and highest quality craftsmanship you will find anywhere! Comes with brackets to hang on the wall or lean it as is against a wall or shelf. Great gift for guys, great gift for girls, great Christmas gift, holiday gift, fun gift, great house warming gifts for couples, great religious gifts." I was sent two wooden signs to review. These signs cost $29.99 each. Shipping is free with Amazon Prime. Both wooden signs arrived safely to my house. There were not any issues during shipment. Both signs were shipped inside of a sealed plastic bag. The bags were clear so you can see through to the actual product. The plastic edges were taped down so there was no chance this sign could have unwrapped during shipment. There is nothing that I love more to decorate with than wooden rustic decor. These signs are just adorable and incredibly well made. Each sign has worn and beveled edges and a hanging bit on the back. The first sign says, "If you think my hands are full, you should see my heart." 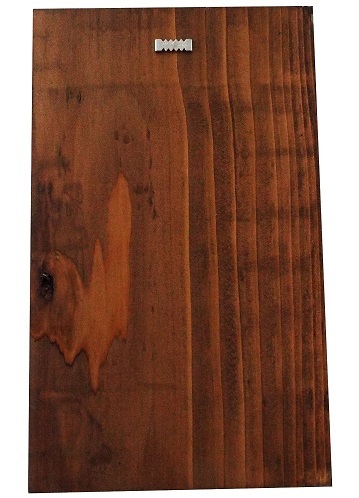 This sign measures 11.5" x 7.0" x 0.75", is made from solid cedar wood, and hangs in a vertical sense. The second sign says, "Grandkids make life grand" This sign measures 11.5" x 7.0" x 0.75", is made from solid cedar wood, and hangs in a horizontal sense. Makes an excellent gift (there are plenty more to choose from!). I haven't found any cons of these wooden signs. Absolutely wonderful. This fits perfectly with my interior décor. This is the perfect little sign to hang right in my foyer (my foyer is directly connected to my kitchen, so it works in both rooms, actually). It’s very well made, and it just smells amazing! I love cedar wood, so I was glad this was made on a nice piece of it. This would be great as a gift, too. If I just moved into a new house, I would love to get this sign. I definitely recommend this. It’s high quality and super cute. Are you wanting to try Handmade Wooden Signs, too? Click the link below, and order away!